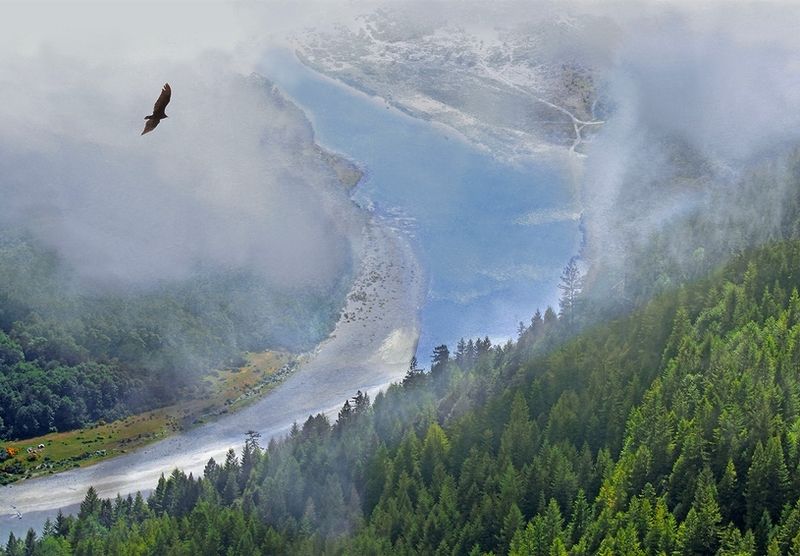 The wild and majestic Smith River is located on the Pacific coast of northern California near the Oregon border. It was named for the explorer Jedediah Smith. The free flowing, emerald-green waters of the Smith River are none like you’ve ever seen before. The Smith is the largest wild and scenic river in the United States that has been left un-dammed. No gas-powered crafts are allowed on this river. The Smith River may only be 25 miles long but it is still the largest river system in California that flows freely along its entire course. The Smith Steelhead are among the largest in the state and the river holds the record at 27 plus lbs. The Rowdy Creek fish hatchery supplement the natural runs of both Steelhead and Salmon. The best time to fish for Steelhead at the Smith is during the Winter season from December to April. Steelhead begin to enter the system behind the November/December Fall run of Salmon. The Smith is also home to cutthroat trout. Credits: Smith River excepts taken from TackleTour. To Crescent City: From Sacramento take Interstate 5 to Grant’s Pass and then get on Highway 199 towards the coast to Crescent City. If you’re leaving the Bay Area or South of S.F., take Highway 101 all the way up to Crescent City. 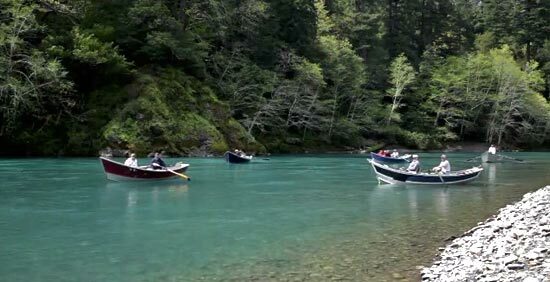 Each year, the Chetco River and the Smith River play host to several fishing derbies. Derbies are sponsored by various groups and Rowdy Creek Fish Hatchery. The Derby is a competitive fundraiser to support Rowdy Creek Fish Hatchery and various local fishery projects. It’s a great tax deductible way to go fishing! The Klamath River southwest through Oregon and northern California, cutting through the Cascade Range to empty into the Pacific Ocean. 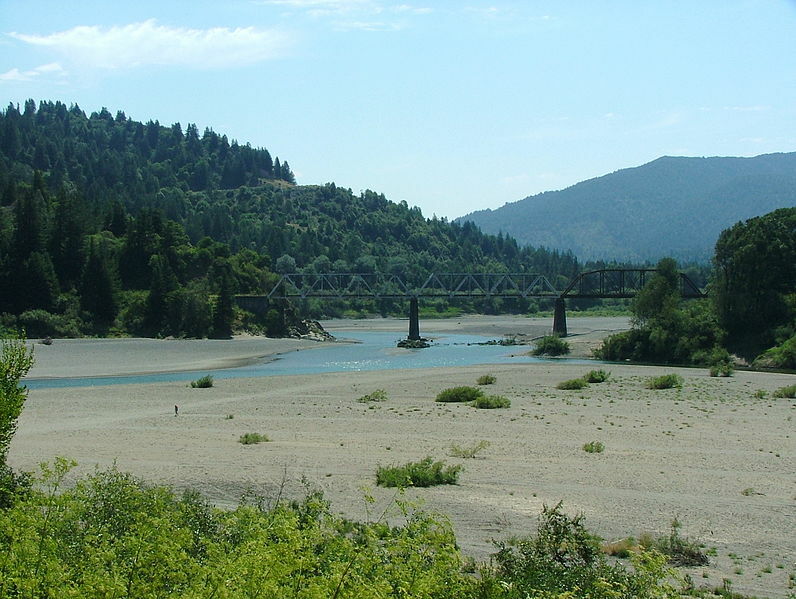 By average discharge, the Klamath is the second largest river in California after the Sacramento River. 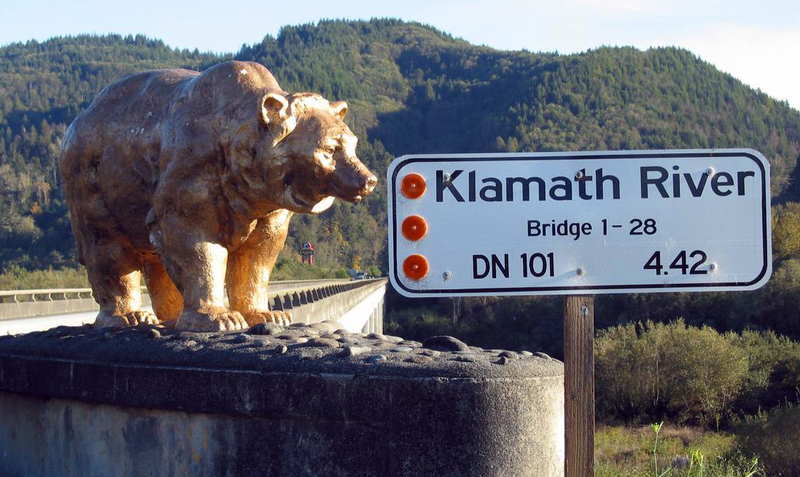 Klamath is a small town on the Northern California coast located adjacent to Redwood State and National Parks on Coast Highway 101. Klamath has over 1200 RV and camping sites, the second largest river in California, Redwood National and State parks and miles and miles of uncrowded beaches. There are three motels, two bed & breakfasts, 15+ RV parks, seven restaurants, several nature attractions, jetboat tours, two gas stations, the best river, hiking trails, great surf, salmon & steelhead fishing, and some of the most amazing scenery to be found on California’s far northern coast. Click here for a map. Look for Osprey, Bald Eagles, Bears, Buzzards, River Otters, Deer, Elk, Whales, and all kinds of river wildlife. Bring your camera, because the Klamath River has some of the most beautiful creeks and river beds. 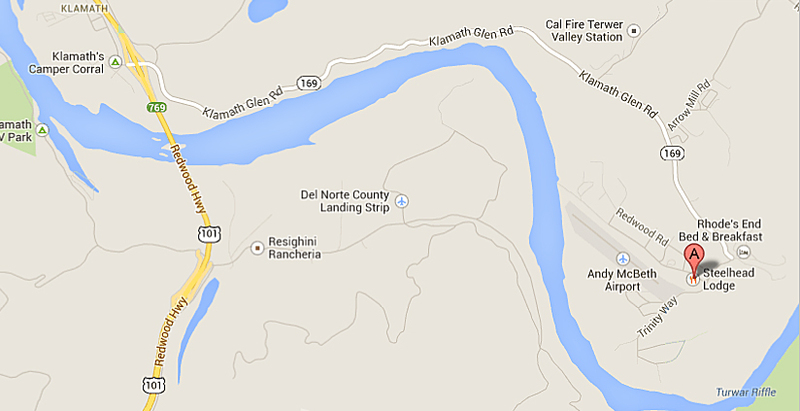 The Eel River flows for approximately 100 miles north through Mendocino and Humboldt counties. Its mouth is located 15 miles south of Eureka. The Eel flows through some of the most beautiful redwood groves in the state, including Humboldt Redwood State Park. When the Eel is running right, its emerald green color is awe inspiring. The Eel River offers year-round fishing opportunities, with fall and winter salmon and steelhead runs being the best known. Chinook start coming into the river in August. The Chinook run from August through December, with the peak in late October. Catch and release fishing for salmon and steelhead is allowed in the South Fork and Main Stem Eel River. Visitors can also fish for lamprey and Sacramento pikeminnow, formerly known as Sacramento squawfish, year-round. There is no fishing in other waterways. 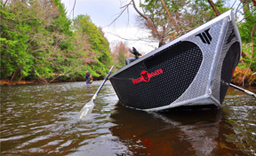 Fishing is primarily a fall and winter activity after the rain begins and the river rises from the long, dry summer. The end of September and into October are good times to fish for salmon, while January, February and March are Steelhead season. The average Eel chinooks are 8-15 lbs, with some up to 40lbs. Winter steelhead are what the Eel River is known for. The winter steelhead start moving into the river in November running through March, with peak activity during January. The average Eel steelie runs 8-10 lbs, with fish to 16lbs common and a number of fish in the 20lb class caught each year. The entire system – the Eel, the South fork of the Eel, and the Van Duzen River provides excellent opportunities for winter steelhead. The biggest problem with the Eel is the area receives heavy rains and the river can blow out. The Chetco River is a 56-mile-long stream located in the southwestern portion of the U.S. state of Oregon. It drains approximately 352 square miles of Curry County. 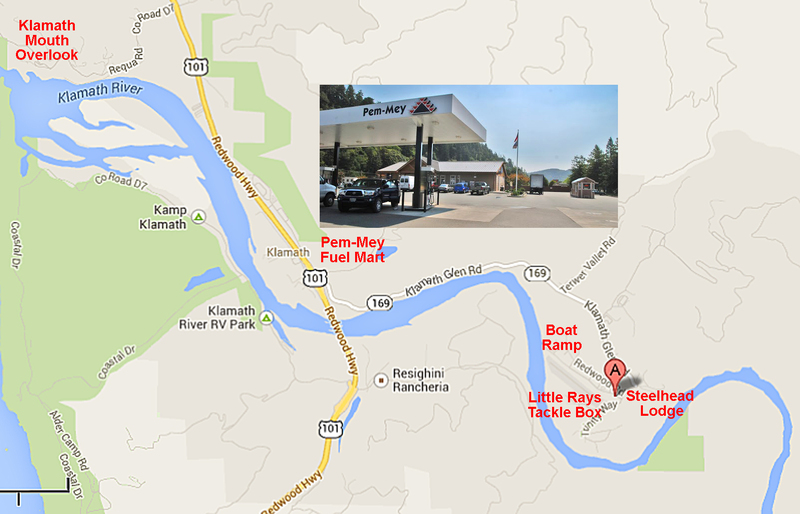 The Chetco is one of Oregon’s premier salmon and steelhead rivers, and our most popular fishery. It produces more kings over 50 pounds than any other river in Oregon, as well as some of the best winter steelhead fishing in the state.